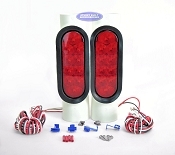 This Category contains a selection of the most popular and highest quality LED trailer lights available. 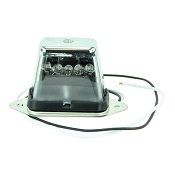 We have LED Trailer lights that are ideal for both boat trailers and land trailers. 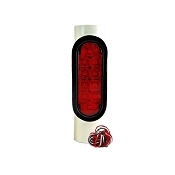 LED trailer lights boast immediate advantages over Incandescent lights. Most importantly, they provide brighter illumination, and last significantly longer, without worrying about bulb replacement. These LED lights are sealed much more effectively, because the user never needs to access a bulb, so they can be permanently sealed for complete submersion and waterproofing.